Leading a nonprofit board of governors takes focus, patience, drive, and sometimes simply the skill to gather folks around the table and move them forward, regardless of the many views expressed. Leading a board for ten years takes even more special qualities: boundless enthusiasm for the work, good instincts for motivating staff, and an ability to work with others to innovate and inspire. 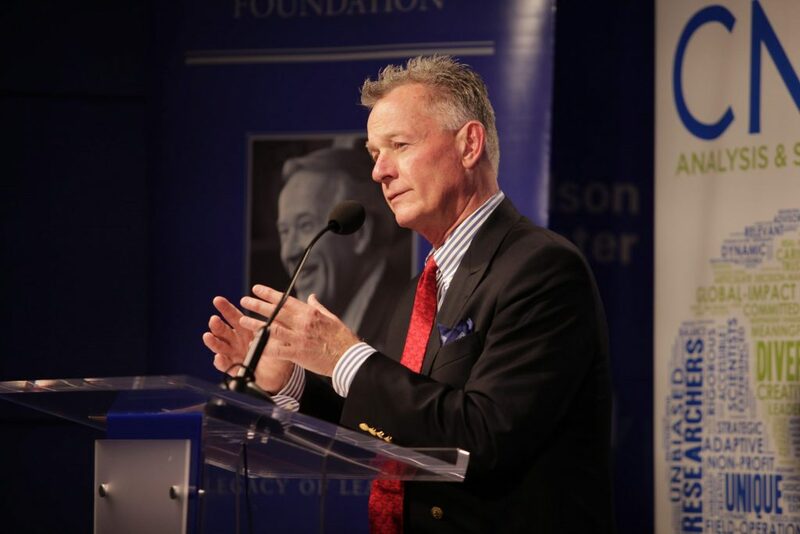 John Hempelmann, in his ten-year stint as President of the Board of the Henry M. Jackson Foundation, possesses all of these qualities as well as others valued by Jackson Foundation staff and his Board colleagues. Chief among his leadership qualities would certainly have to be his optimistic nature, which feeds his can-do spirit, along with his readiness to roll up his sleeves and jump into the Foundation’s work with all of his energy. John Hempelmann with Jackson Leadership Fellows in Washington, D.C.
John led the Board from a moment when the Foundation – like its peers – faced deep challenges posed by the 2008 financial crisis. He helped shepherd the organization toward today’s stable financial footing. 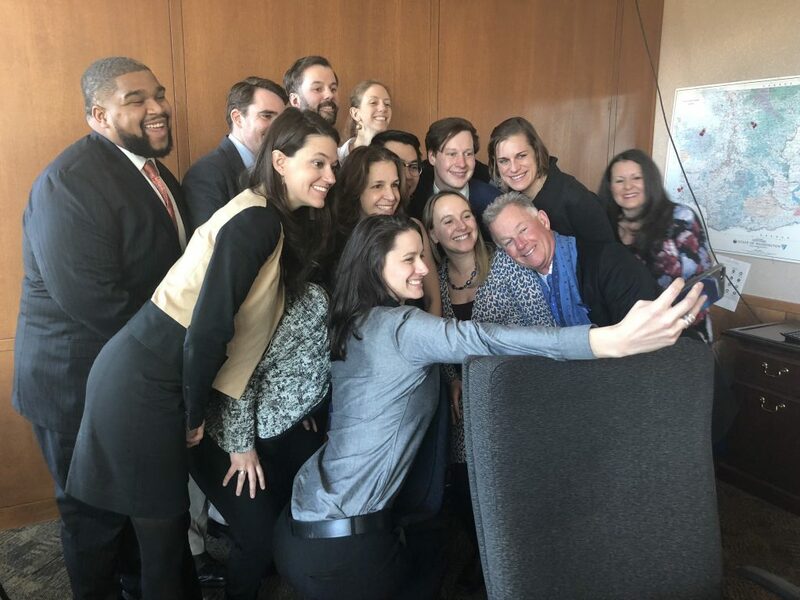 More importantly, perhaps, he prioritized retaining a robust program during those lean years and ensured that we were out there in the field keeping our eye on the ball, convening our partners, and making a difference. His spirit has inspired us. His interest and dedication have pushed us to be creative, particularly as we established our Jackson Leadership Fellows Program, which we dreamt up during John’s tenure and immediately found to be a success beyond our expectations. John and the Fellows with State Land Commissioner Hilary Franz at a site visit to our State Capitol, Olympia. John’s openness to new ideas and fresh thinking brought out the best in me, surely, and in our entire organization. He flew countless miles on the Foundation’s behalf, never missing the opportunity to bang the drum for us at our programs near and far. He was our cheerleader-in-chief. 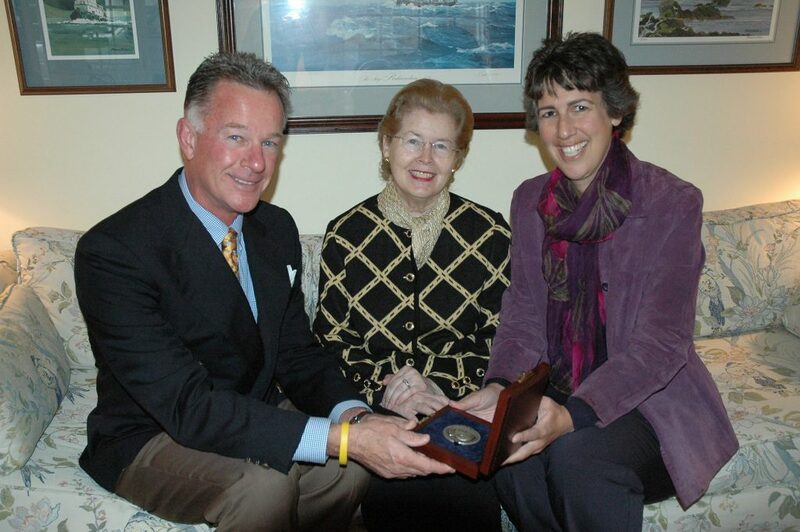 John and Lara present the late Helen Jackson with the Jackson Public Service Award in 2009. Fortunately, we are well poised to continue moving forward with visionary leadership. 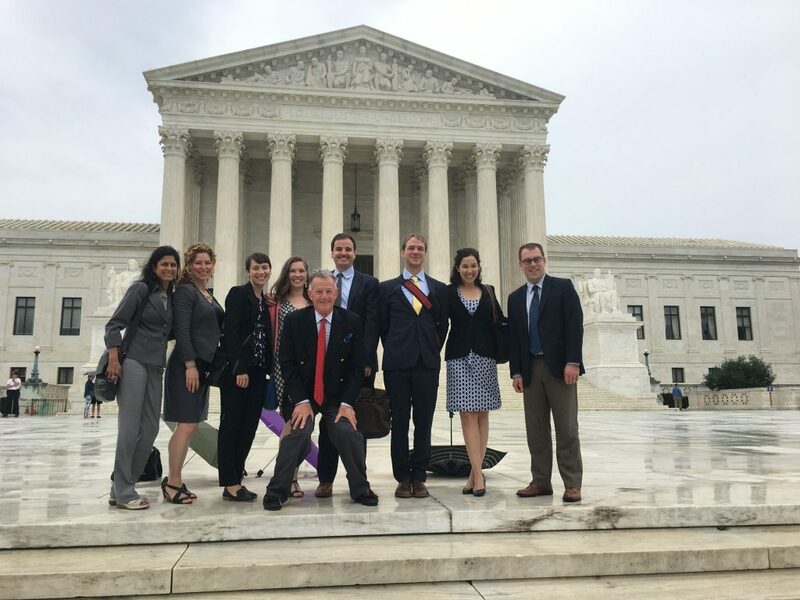 Yesterday the Board unanimously elected Vice President Craig Gannett, Partner, Davis Wright Tremaine LLP, to the post of Foundation President. Craig, a climate and energy specialist, has been engaged in the Foundation’s work for more than a decade himself. In a future blog, we will hear from Craig and get his thoughts about his vision for the Foundation over the next several years. 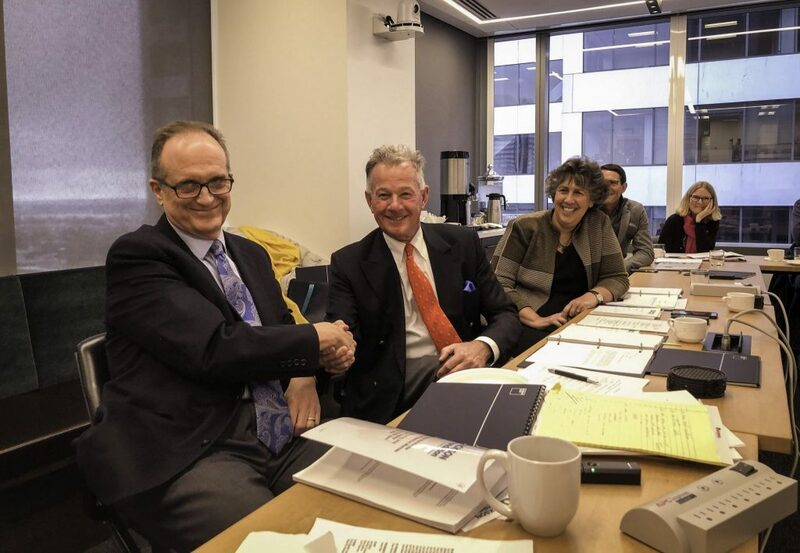 Craig Gannett and John Hempelmann commemorate the transfer of leadership at the Board of Governors meeting yesterday as Lara Iglitzin looks on. We were planning to honor John with a reception this week but we faced a foot of snow here in Seattle. Instead, we will formally celebrate John’s leadership in the spring. In the meantime, we thank John sincerely and are fortunate to have him remain on our Board, where his deep expertise will be welcomed. Congratulations John. Thank you and the Jackson Foundation for all you do to make the world a better place. John is a man of great passion and commitment – the world is lucky to have him. The Jackson Foundation, lucky to have him at the helm for such a great run. Onward! You were a part of his success with the creation of the Fellows Program!